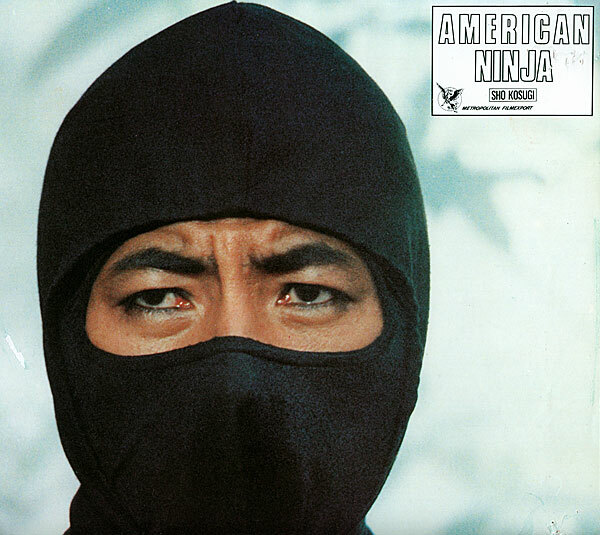 European (and other French-language market) lobby cards for Sho Kosugi‘s 9 Deaths of the Ninja, known abroad as American Ninja (where American Ninja was known as American Warrior). 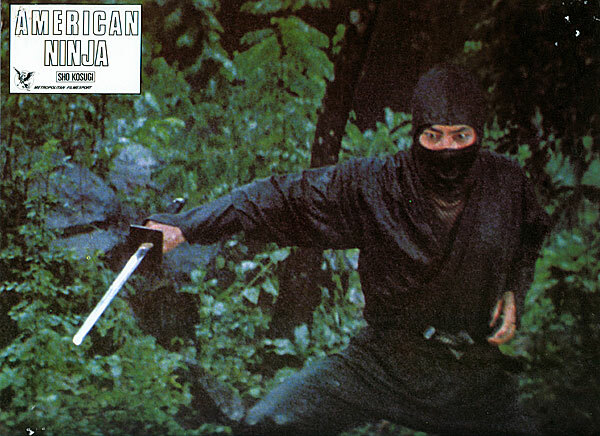 The 1984-85 span was a trying one for the ninja craze. 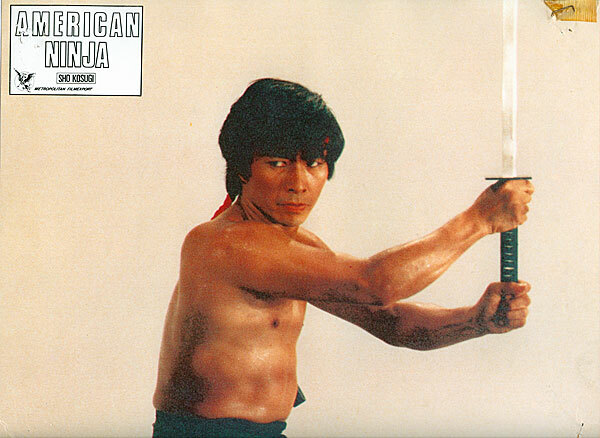 Sho Kosugi and Cannon Films parted ways and The Master took a critical drubbing on TV (the full run of episodes didn’t even air in a lot of areas). 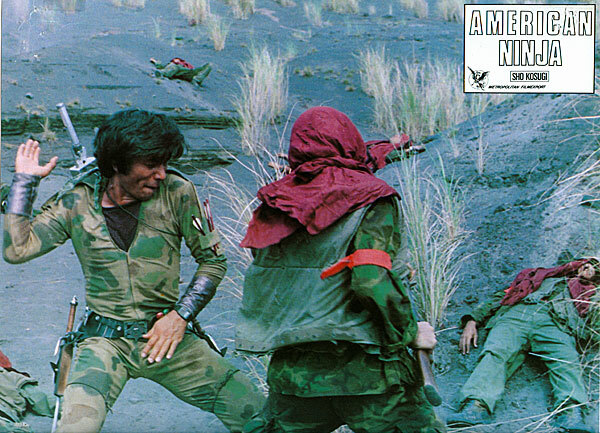 Then 9 Deaths hit theaters with Kosugi in a role that came dangerously close to sidekick, and clad in cammo spandex no less. 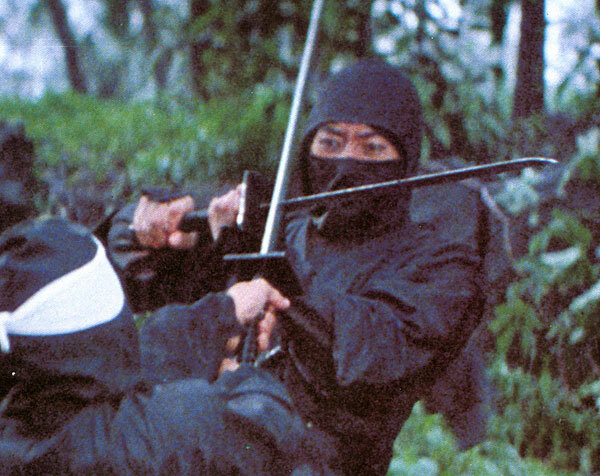 The real torture was the one full-on ninja fight in the film was a nice piece of stripped-down swordplay, no weird costumes, no shiny gadget weapons. It let you know exactly what you were missing. 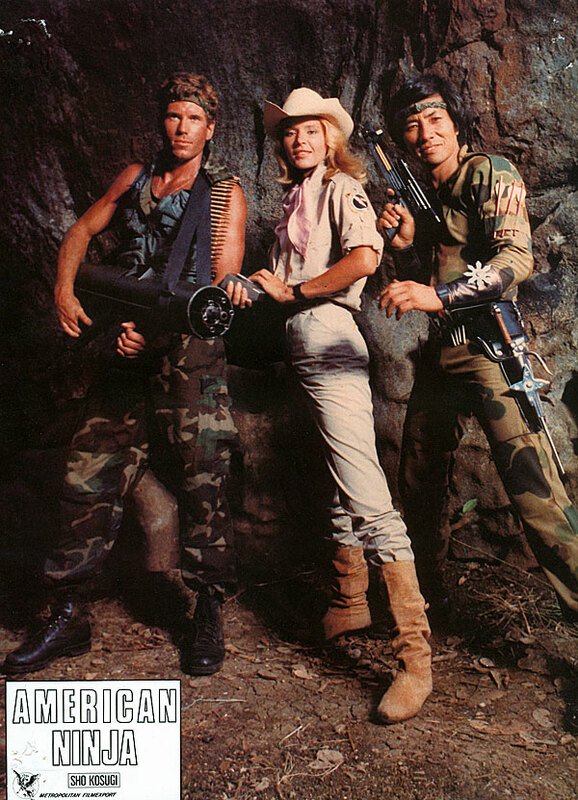 Luckily, Pray for Death was on the horizon. 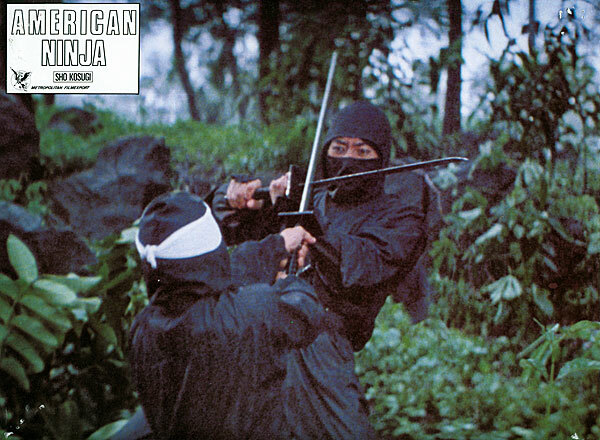 For more, check out the excellent collection of 9 Deaths imagery over at the always recommended Sho Kosugi: The Ninja.